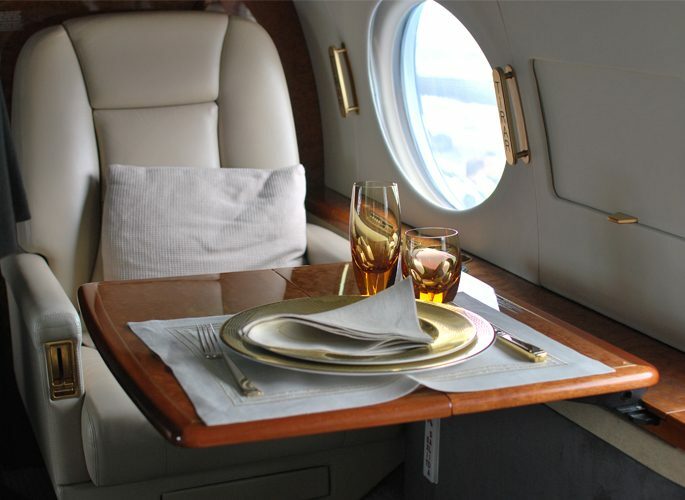 We have outfitted the more than 100 private aircraft, from Boeing and Airbus' to Gulfstream and helicopters. 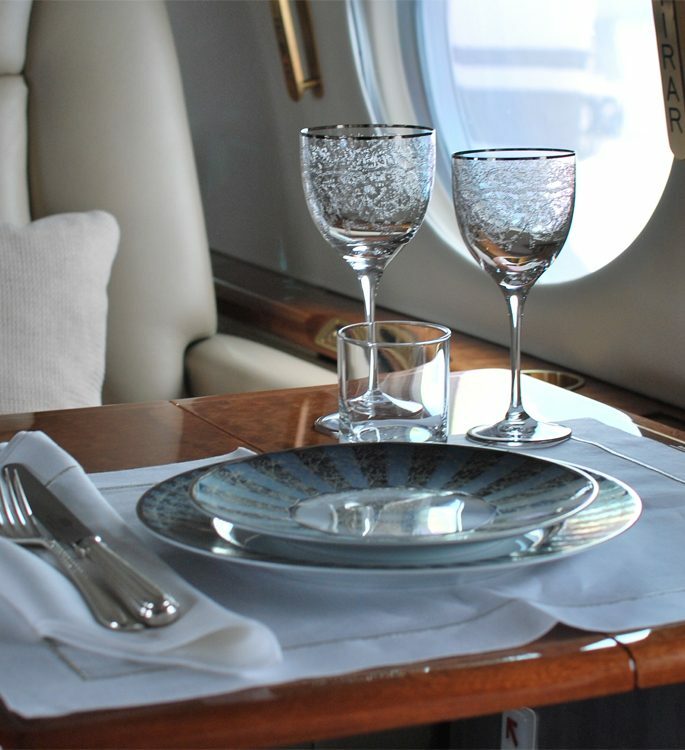 Each ranging in style and function, we know the industry and tailor our proposed products based on the practicalities of the aircraft, and the owner's interior tastes. 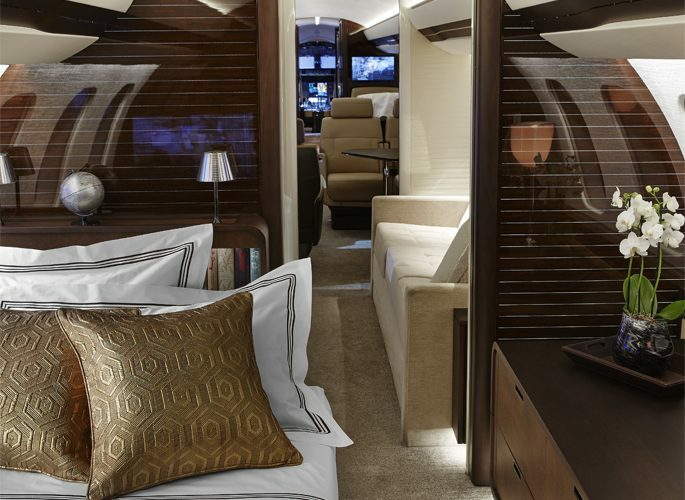 For example; we'll consider the layout when in take-off compared to at altitude and tailor our products accordingly, such as bed linen for reclining seats. With this, we can ensure our clients' products have longevity while maintaining that desired luxurious feel. 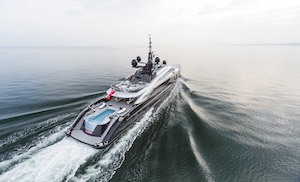 Working directly with the owner, aircraft crew, interior designer, or appropriate person, we will build a presentation of luxury products that fit the requirements. Our expert team will work with the budget, brief and lead-time to ensure we meet and exceed expectations. From the General Arrangement drawings, we can propose a list of products and a suggested number of items for each area. If of use, we offer a measurement and templating service for beds, club chairs and tables and can also provide fitting out pieces for inflight fastening. We record what is ordered, so should there be a re-order in a few years time, we can efficiently process this. 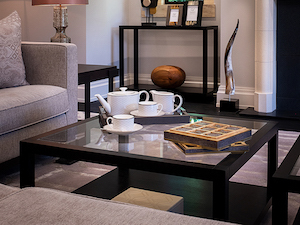 We have built relationships with the most respected and desired designer and artisan brands over many years and have an immense collection of more than 7,000 luxury product samples in our Manchester Showroom. We tailor our client's showroom visit to reflect their interior tastes and can walk them through the entire outfitting process in one visit. Our globally negotiated brand partnerships mean we can offer competitive pricing on our branded and custom designed products. We provide transparent quotations and liaise directly with suppliers. Taking the greatest care and precision our experienced Logistics Team quality check the products individually, working to the highest standards. Each item is unpacked, inspected, measured and then repacked, before transportation. We deliver worldwide and have experience delivering to specialist custom areas. We'll pack the boxes by area if desired for efficient unpacking.